…is a simple parser for resolving mathematical terms. 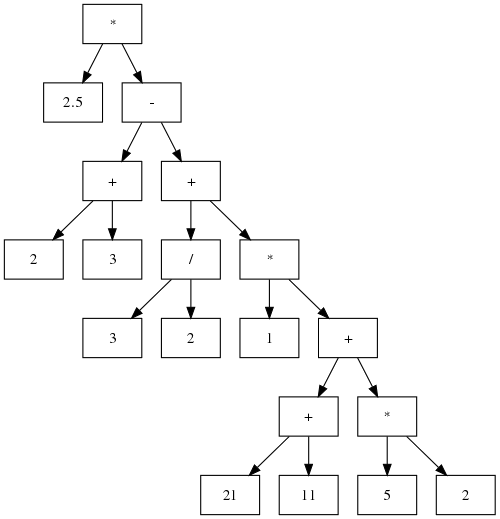 The term is parsed by generating a binary expression tree using the Shunting-Yard algorithm. The implementation itself does not use any external libraries and relies fully on the features provided by the C++ language and the standard library. This application marks the first steps in C++ I took a couple of years back and is available on Github or cgit.